Looking to get some laughs? When it comes to comedy, there's plenty to keep you busy this week, from drinking games to theatrical comedy. On Saturday, head over to Caveat for a Planet Earth Drinking Game. Play games, win prizes and drink, of course, every time they show time-lapsed footage. The theme this time is Islands. This event is for those 21 and older only. When: Saturday, Dec. 29, 9-11:30 p.m. Enjoy a free sketch comedy show at The Brick Theater. Performers rotate weekly and they have appeared on shows, such as "Saturday Night Live," "Portlandia" and more. When: Thursday, Dec. 27, 10:30 p.m.
Where: The Brick Theater, 579 Metropolitan Ave.
On Sunday, offer suggestions to an improv comedy troupe and they will make a movie out of them. You might even make an appearance if you're celebrating a special event. When: Sunday, Dec. 30, 6 p.m.
Where: Broadway Comedy Club, 318 W. 53rd St. In "Shut Up, Sit Down & Eat" four Italian-Americans are left to sort out their issues on their own when their therapist doesn't show for their group session. The play has earned a "Best Unique Theatrical Experience" nomination from the Off-Broadway Alliance. This deal from Groupon lets you score tickets for 31 percent off. There is a one-drink minimum. 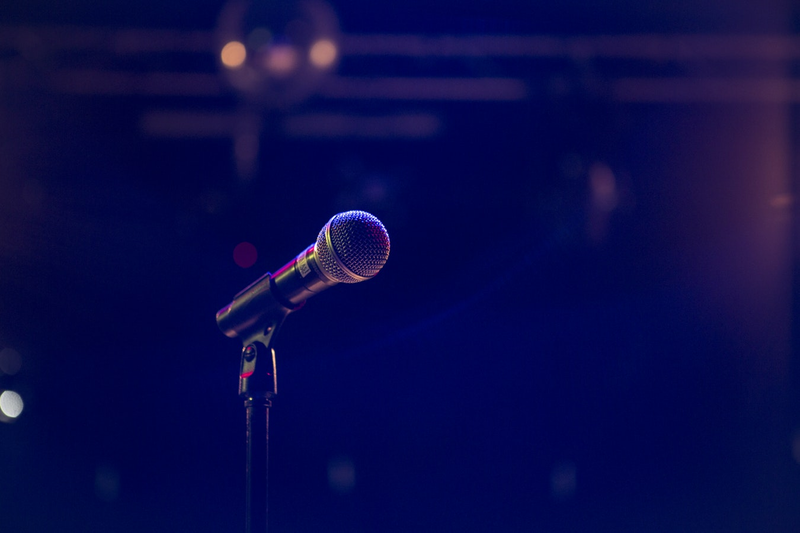 Comedians who have appeared on HBO, Comedy Central and BET perform stand-up routines at Stand Up NY. This Groupon deal gets you an 80-percent discount on general admission tickets for two, plus two shots.